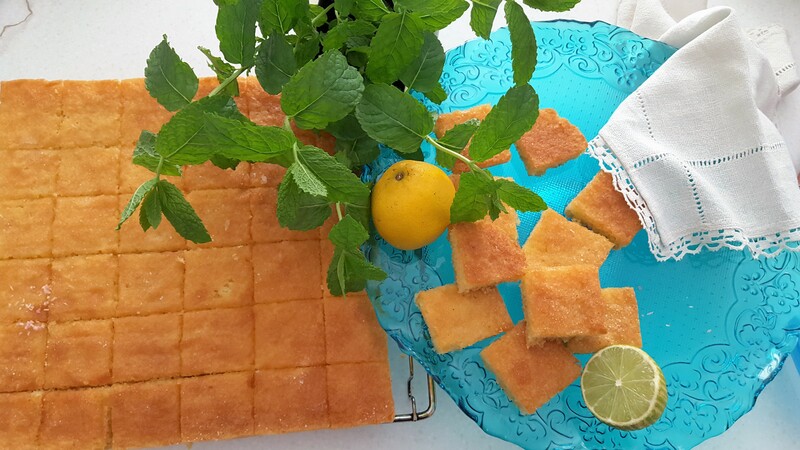 Lemon Drizzle Cake is one of my favorite Cakes…many other cakes as you may have guessed. This cake has never disappointed me or anyone who has tasted it. It is moist with a crunchy topping that melts in the mouth, one bite and you would ask for more. 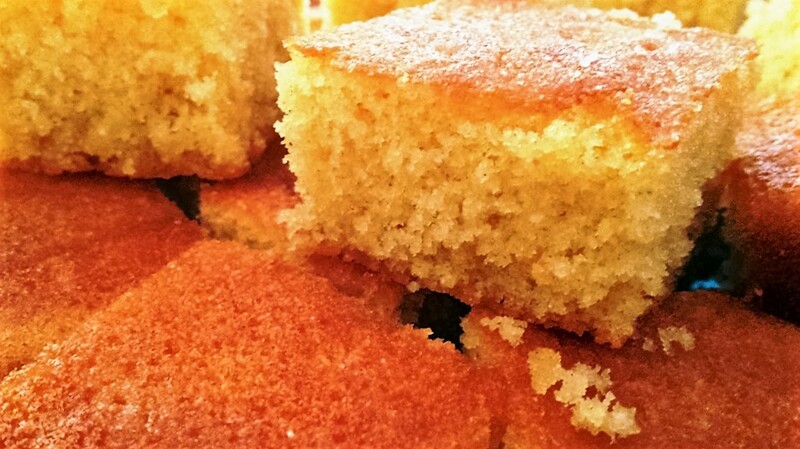 To add more texture to the cake I have used a mixture of Semolina and flour in the mixture. Cut a rectangle of non-stick baking parchment to fit the base and sides of a tray bake tin or roasting tin, 30 x 23 x 4 cm (12 x 9 x 1 ½ inches). Sift the flour, semolina and baking powder together into a large bowl, leave aside. Place the softened butter and sugar into a large bowl and beat well for about 2 minutes until light, (an electric mixer is best for this but if you do not have an electric mixer you can also beat by hand with a wooden spoon). Add the egg one at a time into the mixture. 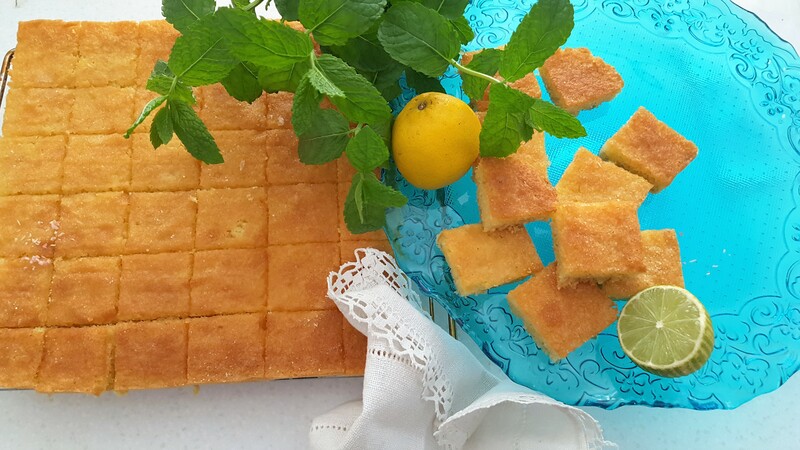 Gradually fold in the flour and semolina mixture followed by the lemon rind. Add the milk one tablespoon at a time until you get a cake mix consistency. Allow the cake to cool in the tin for a few minutes then lift the cake out of the tin still in the lining paper. Carefully remove the paper and put the cake onto a wire rack placed over a tray (to catch drips of the topping). To make the topping, mix the lemon juice and granulated sugar in a small bowl to give a runny consistency. Spoon this mixture evenly over the tray bake cake while it is still just warm. Cut into squares when cold. 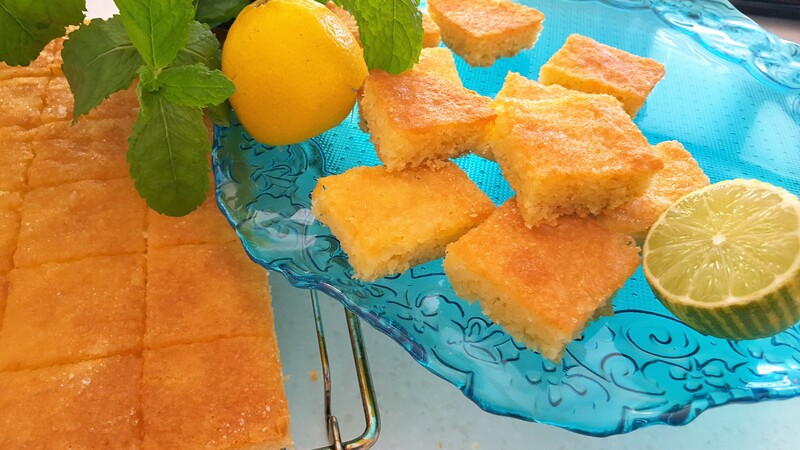 The cake needs to be just warm when the topping is added so that it absorbs the lemon syrup easily, leaving the sugar on top. If the cake is too hot the syrup will tend to run straight through.